It's not easy, we all know by now. We've done countless bouquet orders and each time we contact client to finalise their mood board, trust me when I say.. us ladies can never stick to one palette, right? I am guilty of that too! Here in FBS, we explore different colour palette with you to match your first to the very last outfit. Most of you bride to be would know our style of picking the right flowers to use and the colours to match not only the flowers but the foliage as well. We made it easy for you and most of the times it worked well with our clients. 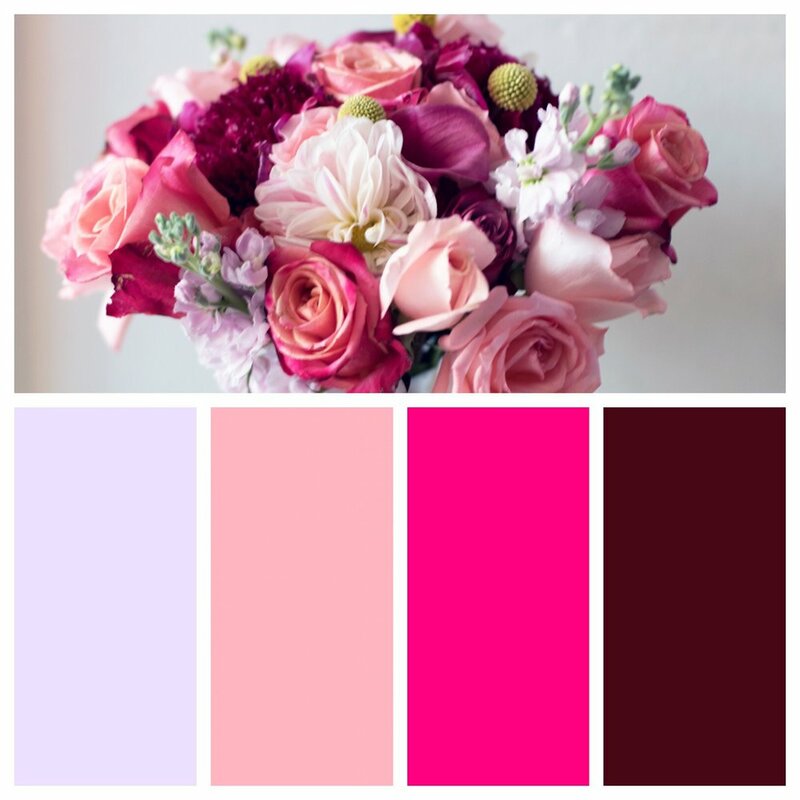 1) Choose your colour palette - Our go to website to seek inspiration gotta be THE PERFECT PALETTE. They have a range of real wedding inspo, from the dark to the pastels! Everything is curated perfectly! You'll love it! 2) Browse through PINTEREST for your flower inspiration - They have plenty of photos for you to choose from. They're like our floral wiki on days when we run out of ideas! 3) Remember the wedding outfit colours - Yes, this is essential. We know most Bridal House don't allow you to snap photos of their beautiful outfits.. that's alright. Go through their Instagram page or maybe a similar colour outfit off the internet. We wouldn't want to pick a colour that doesn't match your outfits, that's the last thing in our list! "But Yati, it's hard for me to visualise!.. " - Don't worry darling we got that covered! With the 3 steps above, you can always turn it into a simplified mood board just the like the example below.